Welcome to final Thessalonians study from Let's Talk About Ministries "Living in relationship with Jesus" series. This study has opened up God's word to the way in which we are to live for Christ in obedience to God. Instructive and clear, Paul's letters to the Thessalonians are rich encouragement for holy living. I feel though, as we come to the end, that I need to issue warning. Although the letters are full of instructions, they are not a list of rules to be followed and ticked off a list. Remember, we are living in relationship and not a religion of rules. Paul sums up in one tiny verse the 'how to' of living this relationship. He prays a prayer which I pray for you. Jesus says that the greatest commandment is to love God and the second is to love others. It is in loving God that you learn how loved you are, it is the overflow of love that enables you to love others. Not from a heart of grudging obedience, following the rules but from a heart which has known and accepted undeserving love and forgiveness. When you truly grasp the love of God you realise the only place for it to go is outwards. To show, not how much you can love others, but how much God loves them. 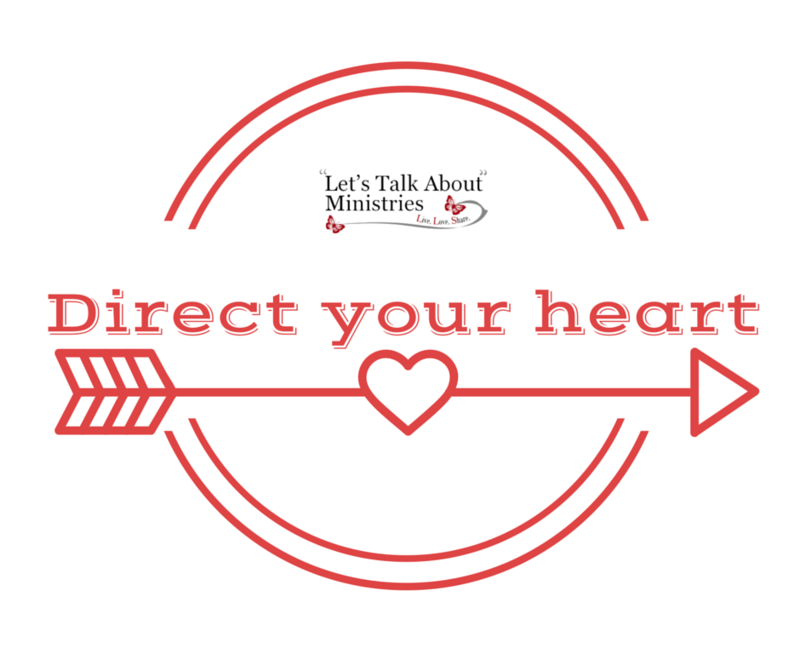 As you direct your heart to him, he directs your heart to others and they are directed back to him. It is not a love anchored in a good mood, good times or a good life. It is love anchored in Christ, imitating him as he loved those who doubted, feared, hated and persecuted. His love, like yours, was anchored in knowing the love of the Father and assurance of eternity with him. Can you grasp the promise of eternal life? Look beyond the now, look past the judgement of deserving and love in the knowledge that your future is already eternally secure. As you grow and seek to imitate Jesus in your daily life you will know his unfailing ability to stand firm and persevere in all circumstances. 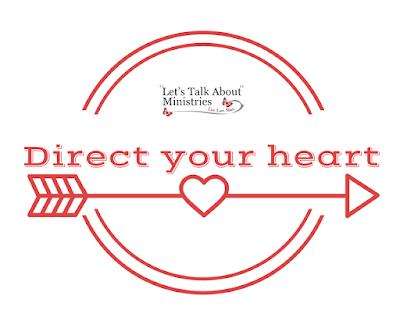 As you wait in readiness for him, turn your heart outwards, pouring out the love God pours into you and know the peace of a heart directed toward God. There is such a beautiful prayer in Ephesians 3 about being filled with God's love and what that looks like, and as I'm praying it over myself, I'm softening in so many ways and letting go of things that I didn't know were issues and just getting excited about ministering to other people again. May God direct our hearts--love this phrase. It is one more reminder that God is working within our hearts and we can trust His work. I like the way you point out that loving God shows us how loved we are.